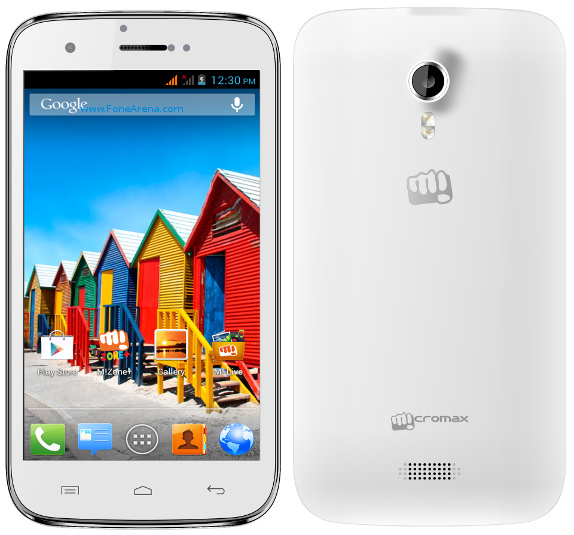 Micromax has officially launched A115 Canvas 3D smartphone for Rs 9,999. It is the first 3D smartphone from the company and it will be available in India from first week of May 2013. The phone does not require users to wear 3D glasses to view contents in 3D. Recently the company reaches one million milestone with their Canvas devices. The phone features 5-inch full touch screen display and runs on Android 4.1.2 Jelly Bean operating system. The device powered by 1GHz dual core processor. It has 5 megapixel rear camera with auto focus and 0.3 MP front camera for making video calls. It has microSD slot to expand memory up to 32GB. The phone packed with 2000 mAh battery, provides a talktime up to 4.5 hours battery backup. And also the phone allows users to convert the regular pictures into the 3D picture format. The phone comes with ‘Micromax 3D Space’ giving them access to 3D videos, and pre-loaded 3D games.